Real Madrid right-back Daniel Carvajal has hit out at young, homegrown players after the humiliating 3-0 defeat against CSKA Moscow at the Santiago Bernabeu. The first team star was furious after the loss, in spite of the team having topped the group and successfully gone through to the knockout rounds of the Champions League. 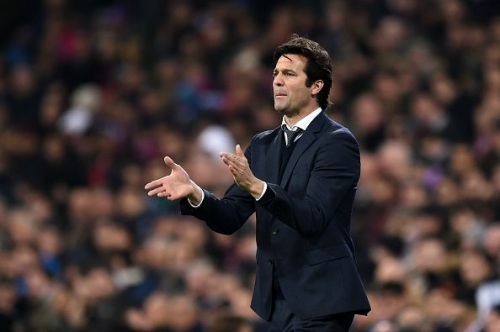 Solari named as many as seven changes against the Russian giants as part of rotation, which saw the likes of Vinicius Jr., Jesus Vallejo and Marcos Llorente start. They are all talented, young players but on the evening, they couldn't churn out a respectable result. 'Three weeks ago there was talk that the homegrown players could play. But it turns out that they might not worthy of the first team." "I have not seen if he was whistled by the fans or not, but the only thing I can say about Isco is that he has been here for many years and he is a brave player. When things are not going well, he asks for the ball and tries to change the game rather than disappear." "This was an inconsequential match for those who want to see it like that. It's an official match, it was not a good match. The first part we had enough opportunities but we had defensive errors and CSKA Moscow condemned us. These are evaluations that the coach has to do, we are all fit to be here but it is difficult for Solari." The Galacticos play another fixture at home against Rayo Vallecano on Saturday, while looking to get back to winning ways and pile more pressure on the top three.